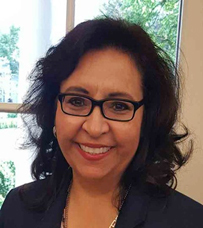 Frances A. Gonzalez serves as the San Antonio Area Program Officer for Asset Funders Network. She is a results-oriented public servant who has been focused on developing and advancing policy that creates and supports areas of opportunity for families and children. Her efforts have contributed toward programs providing access to affordable housing, community economic development, social and human resources in San Antonio and at the federal level. She is a consultant to non-profit and public sectors providing services to enhance their operation, strategic relationships and organizational performance. Before joining AFN, Frances served as Deputy and Interim Chief of Staff for the Honorable Julián Castro, Secretary of the U.S. Department of Housing and Urban Development in Washington, D.C. Her portfolio included leading the Secretary’s educational initiatives, leading policy teams involved in supporting community development and revitalization efforts in Ferguson, Baltimore, Detroit, and oversight of implementation of key priorities. Prior to HUD, she served as Mayor Julián Castro’s Assistant to the Mayor for Policy where she led key policy projects such as the Mayor’s Fitness Council, supported the implementation of SA2020, led the Mayor’s Eastside transformation initiatives and was lead staff for water and transportation issues. For over nine years, as Assistant City Manager and Assistant to the City Manager, Frances oversaw the staff, budgets, and projects of various city departments, many serving the most vulnerable in the community. Over the years, Frances has been recognized for her significant accomplishments to the profession of city management and to the community of San Antonio.